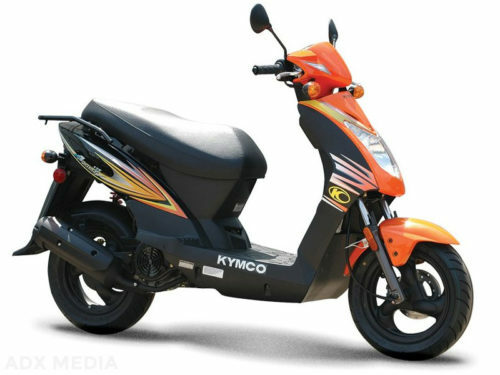 It?s okay to say scooter and scrambler in the same sentence when talking about the KYMCO Super 8 150X. We just did. 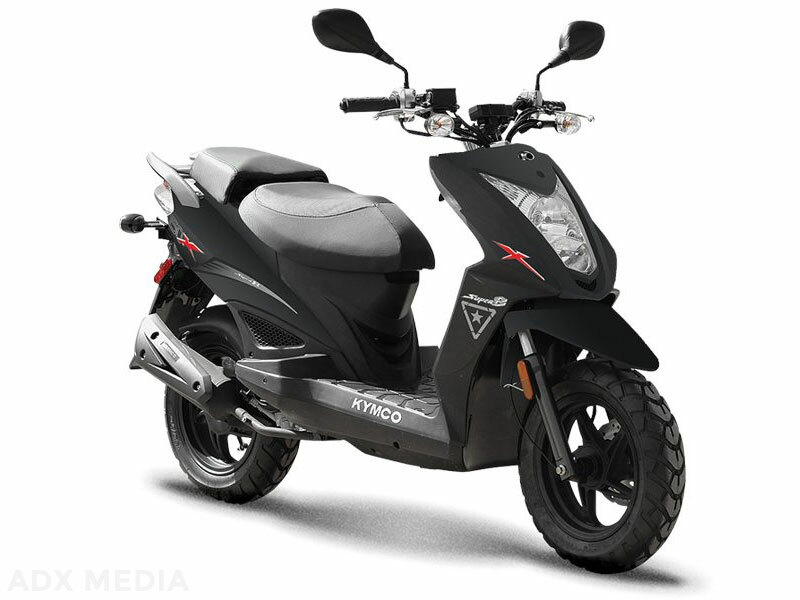 The KYMCO Super 8 150X is the go-anywhere tough-guy scooter with its visible matte black handlebars, raised fender, and aggressive tires. The dash on the Super 8 150X is a modern mix of analog and digital gauges, featuring a speedometer, tripmeter, and fuel gauge. The robust tires give the Super 8 150X a flat-tracker look, while its ultra-lightweight provides easy riding, and flickability. 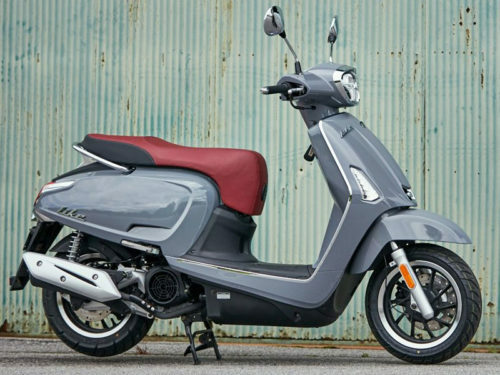 The convertible backrest/rear seat allows for accommodation of passengers or cargo, maximizing versatility on cross-campus errands or crosstown jaunts, or trail riding. 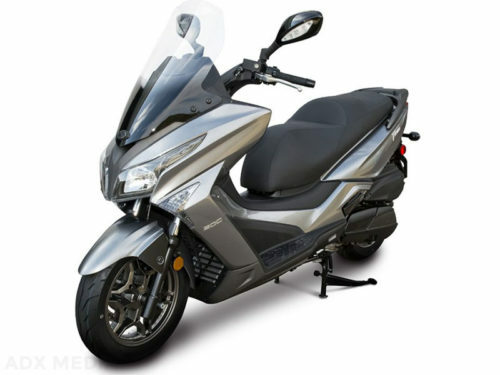 Hard-edged, sporty styling sets the modern mood of the Super 8 150X, while its raised front fender gives it an adventure attitude. 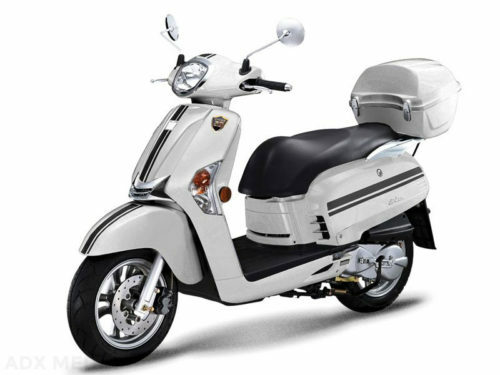 An optional top box can be ordered for the standard rear luggage rack. Available in Yellow/Black, Matte Black.